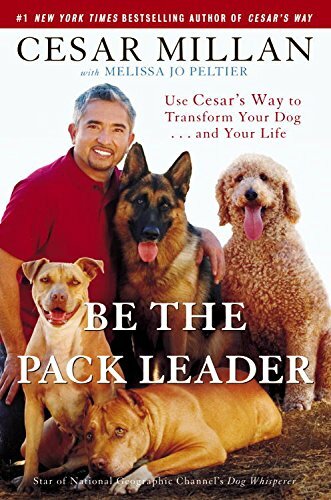 The concept of being a “pack-leader,” will be used in reference to leading many or just being by yourself. It shouldn’t matter how much control you attain, because being the one who has the final say matters more. The desire to lead a pack can spread its roots into many aspects of your life. There are people who want to lead bigger packs than others. There are also people for whom leading packs becomes a problem. Becoming the leader of a pack is sometimes needed to propel your truth. Whether you have a vision for how your family should look, or what trade deal is best for the country in which you live, assuming a position of leadership is the direct way to bring forth changes you envision. The arguments against absolute power are always valid and always stand. Corruption, greed, violence, and delusion will come say hi. Remember, you have only one reality to form in your existence, and should consider that mistakes are easier to spot in others than in yourself. Pack-leaders should be careful listening to advice, and should yearn to eliminate bias in their analysis of opinion. Successful pack leaders are most in-tune with what rings true around them. Others rely on them for guidance towards the truth. The desire to lead a pack comes with a list of things to worry about as well as celebrate. With any power you attain in life, you’ll need to know all the pitfalls that come your way. Pack-leaders are the first to be praised as well as blamed. You will be responsible for the behavior of all who follow your lead, and will sometimes need to enforce your control over them. Leading a pack will put you in a position of knowledge and principal access to information. You’ll need to know the variables at play and other leaders will first converse with you. The fact that you’re the first and final point of communication with external parties is an advantage to recognize. You will not be ignored as the leader of a pack, so take with that what you will. Pack-leading as a trait is in conjunction with the need to know. Both criticism as well as praise will fly your way so be open to learning in every instance. Your actions will be surveyed and your decisions will be questioned. Becoming a leader of your pack will force you to become a better decision maker and balancer of scales. This attention that you gain by building a following of those who depend on you will serve to improve you. Personal improvement is accelerated when you have the attention of many eyes. You’ll be constantly susceptible to aspects you should work on for which you should be willing to put in the work. The desire to lead your pack serves to pull you away from the masses with their average thoughts and ways of being. Leaders are forced to think in ways that most don’t bother. Pack leaders are lonely in their thoughts as well as actions, they are tasked with paving paths rather than simply taking them. Improve yourself by wanting to lead your pack. Your current pack may consist of only one – the one sitting in your chair and reading this. The adoption of the mindset is what matters first, and your success will be measured by how many join your pack. Your desire to improve should be driven by the desire to lead your pack, and the ones who follow only follow those who focus on their growth. Begin your growth of body and mind and don’t look sideways once you start. Begin your journey for perfection and notice how attracted others feel to you. There are cheaters, killers, liars, and thieves in the life you live. The mindset you adopt by leading packs will make you question all you see. You will be responsible for the safety of your pack, and thereby develop an eye for sabotage. The lonesome feeling of being the one who leads will lower your chances of being misled. Understand the responsibility that you hold in your position of leading others. Question everything that you see and make sure all hidden corners are surveilled. Pack leaders do not blindly follow anything or anyone. Every action is the result of conscious deliberation. Risks and dangers in what’s ahead will be exposed to the leader of a pack and you’ll slowly grow to be deliberate in your thoughts and actions. Leading packs bears a kind of responsibility which will make you a better person overall. The improvement that you’ll realize is unique to the desire to lead. There are not many people that can be labeled leaders, as that title is difficult to attain and even more difficult to maintain. Begin wanting to be a leader, and allow the difficulties along the way to morph you into one.